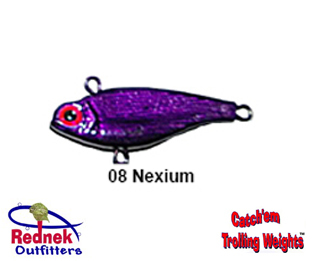 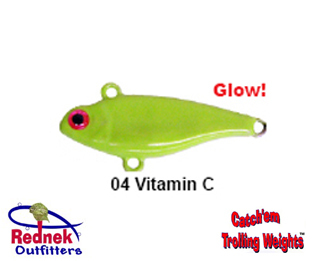 Catch'em Trolling Weights are powder coated to provide lasting durability. 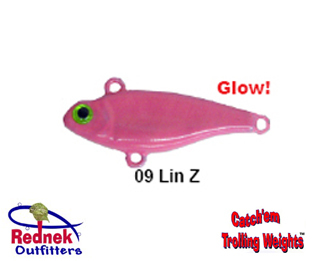 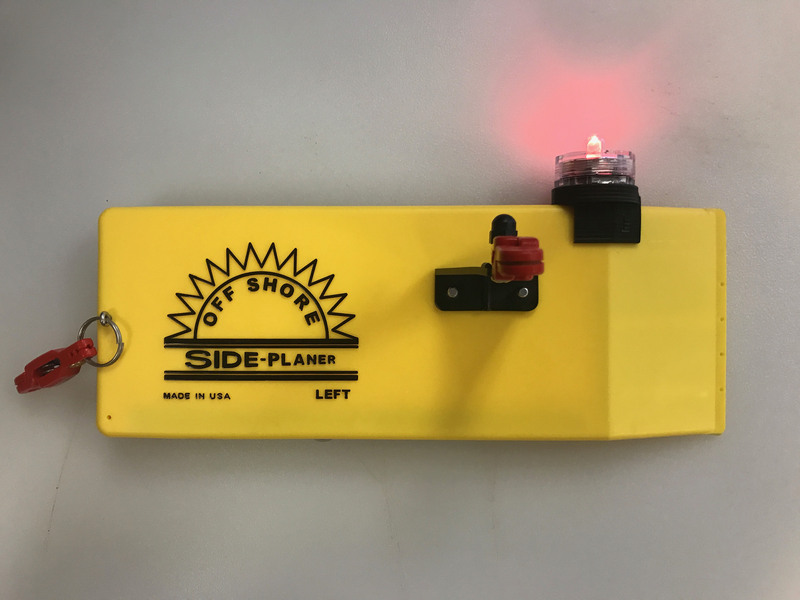 Available in 10 different colors and 5 different sizes. 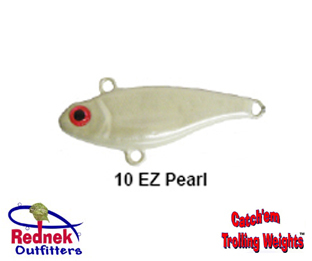 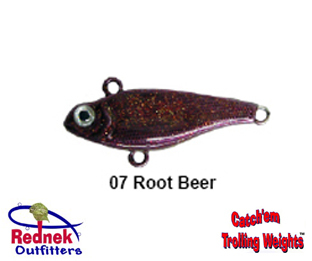 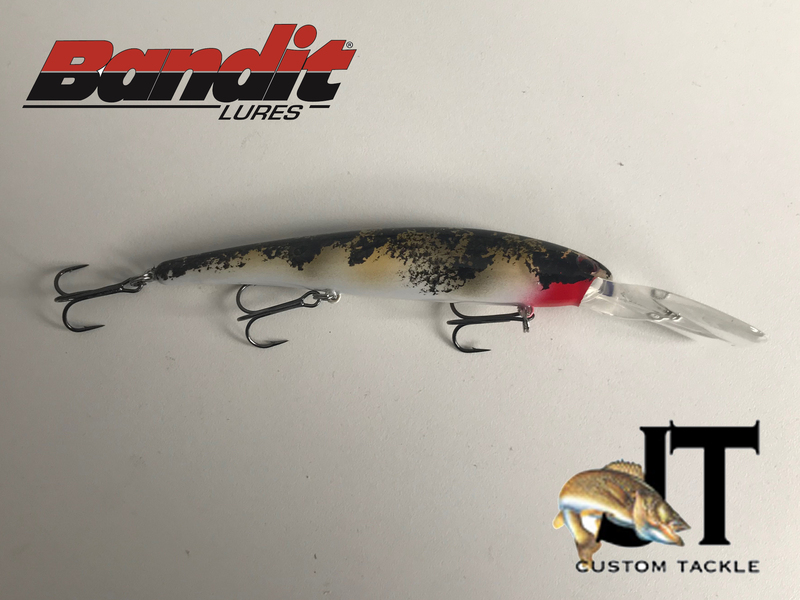 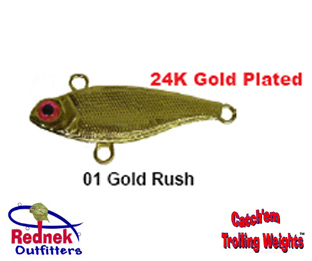 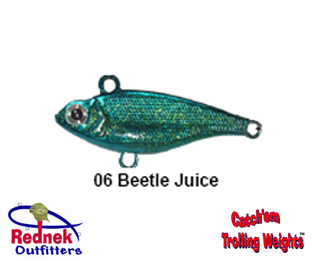 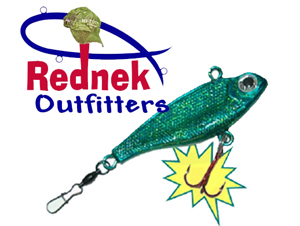 Rednek Outfitters "Catch'em Trolling Weight" has a molded in bottom eyelet that allows a Treble Hook to be added. 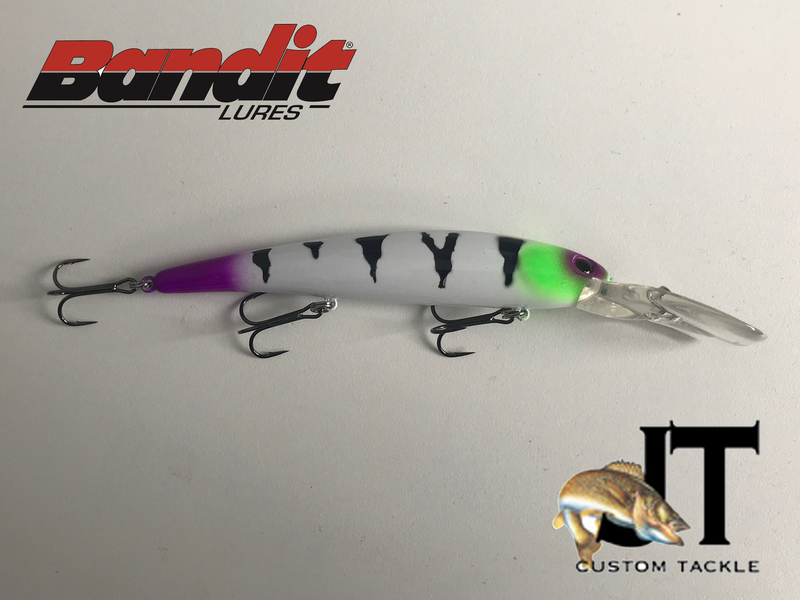 This exclusive feature turns the Weight into a Lure also! 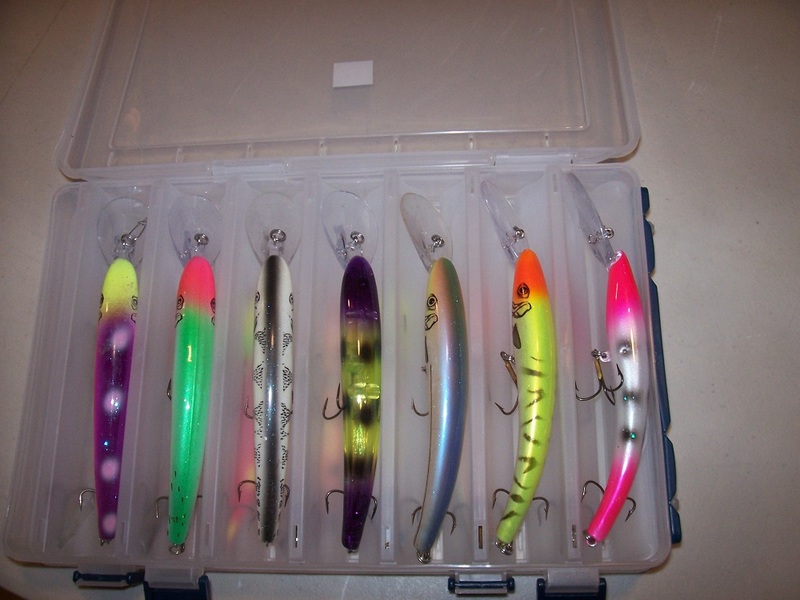 this doubles your chances at catching fish.